Let’s be honest, some kids do love to read. Unfortunately, such a kid is a rare find. For those millions of parents who are hoping to see your kid reading instead of playing virtual games, we’ve collected a bunch of tips and tricks to make reading great again. If your kid is a tough cookie (in reading terms) start your journey towards the love of reading from audiobooks. Choose the books narrated by professional actors who read in different voices. It would be good if reading is alternated with music bridges to make it feel like a real performance. Your kid will not only be engaged with the plot, but also will be inspired to read a text accurately and with good expression. It’s a known fact: if kids are surrounded by junk food or foul language as a kid, they love junk food and use foul language. When they grow up surrounded by books, they like books. Make sure, your kids see you reading and discussing books. Tell them about the most exciting bits of books you’ve read. Your kids will see that reading is something that adults enjoy and will want to be like adults themselves. Kids love to play in forts or some other hand-made sets. So create with your kids a little place for reading. It can be a fort made of chairs and a blanket or simply a cozy corner with books, cookies, and tea. Kids will associate reading with comfort and will be willing to immerse into a book world. Let’s be a bit theatrical. Choose a scene from a book that you kids enjoy most and play it. Life-like costumes and scenery aren’t necessary. It’s all in your imagination. Seeing a story go live is a great inspiration to discover more stories and act more scenes. Make a quiz on the book your kids have recently read. Follow-up is necessary to understand how attentive your kid was and to help them look deeper into the message of the book. Indeed, every story for children covers universal topics which may not lie on the surface. Reading should become a habit seamlessly integrated into your kids’ daily routine. So regularity is a key word here. Set time for reading only, when nothing will distract your kid from the process. Yes, it’s a challenging task with all the virtual distractions in your way. But there is something which may help you with this problem. 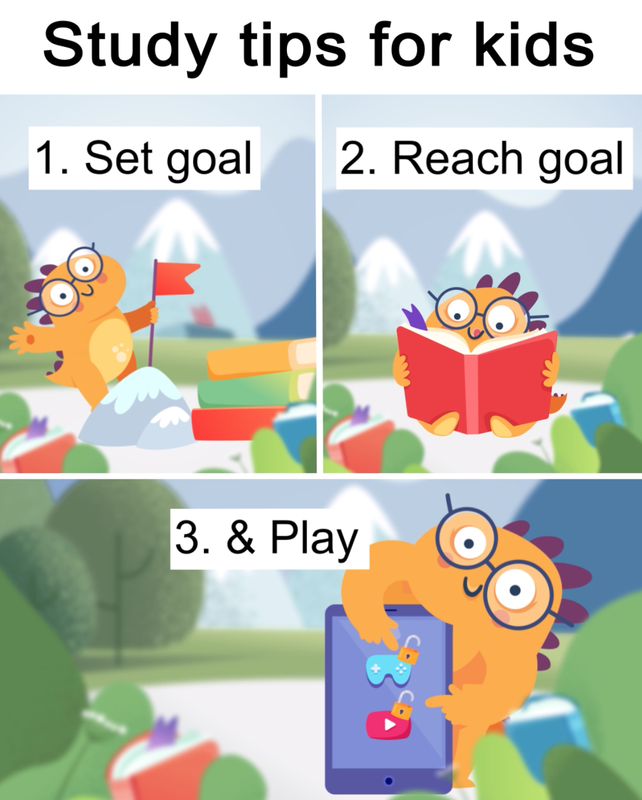 Nicola is an application that you can install on your kids’ devices and track reading activity. You set a daily reading goal (time for reading), I’m Reading, Mom! blocks all other apps until the goal is achieved. After that, all the apps are unlocked and kids can treat themselves with a play. Moreover, reading itself becomes a treat, as a kid can choose a character who will grow while the kid is reading. Remember Tamagotchi? The game where you had to feed and take care of a character until it grows up. In I’m Reading, Mom!, you have to read to make your character a grown-up. Reading has always been essential for our development. It’s a shame that our kids may not understand it. So, it’s time to revive the reading power!